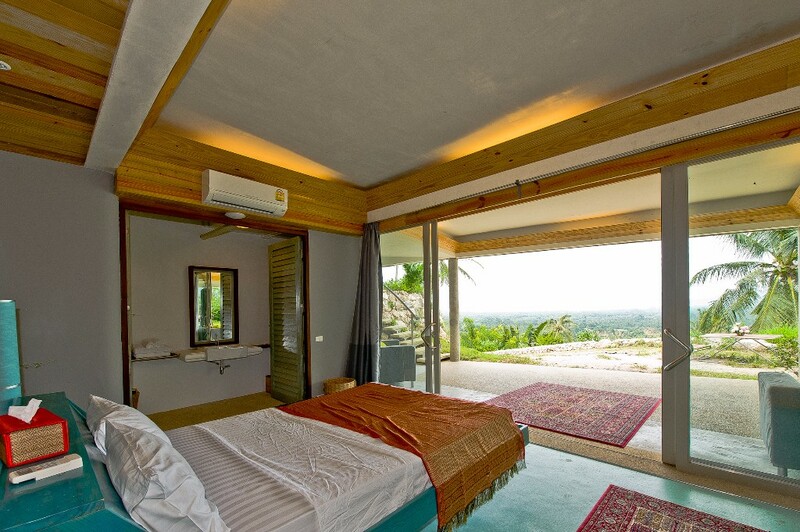 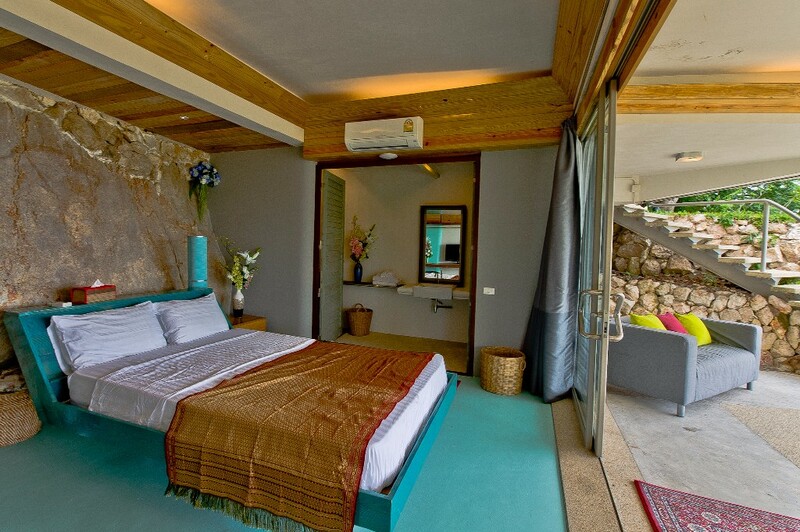 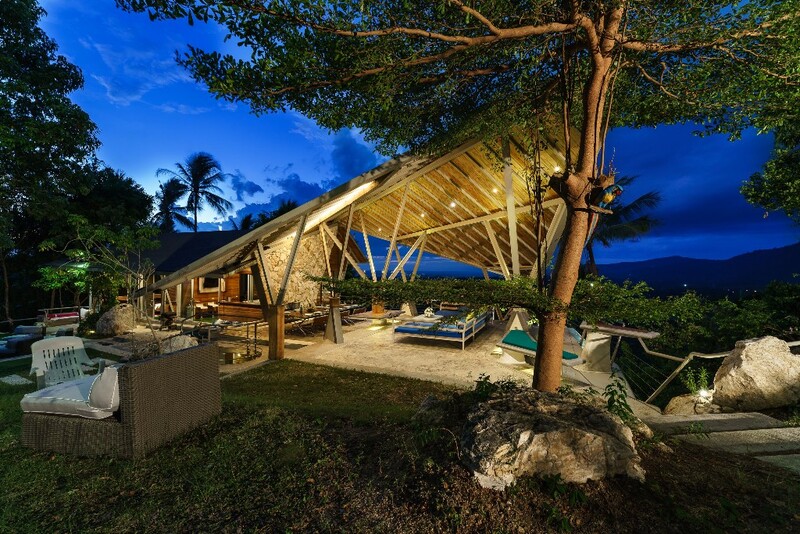 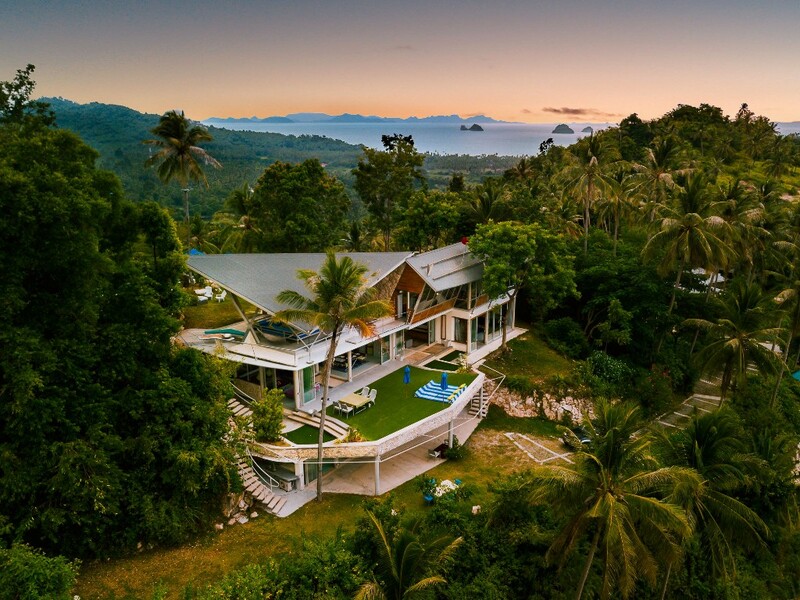 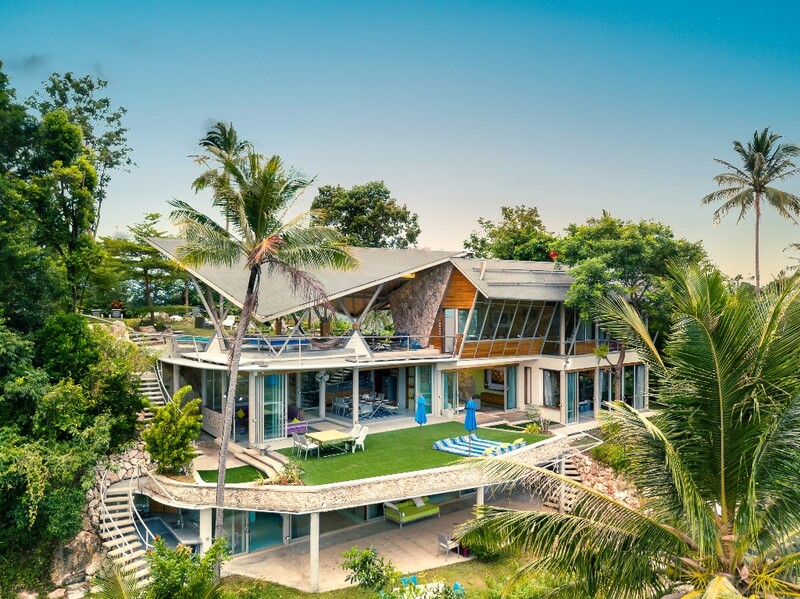 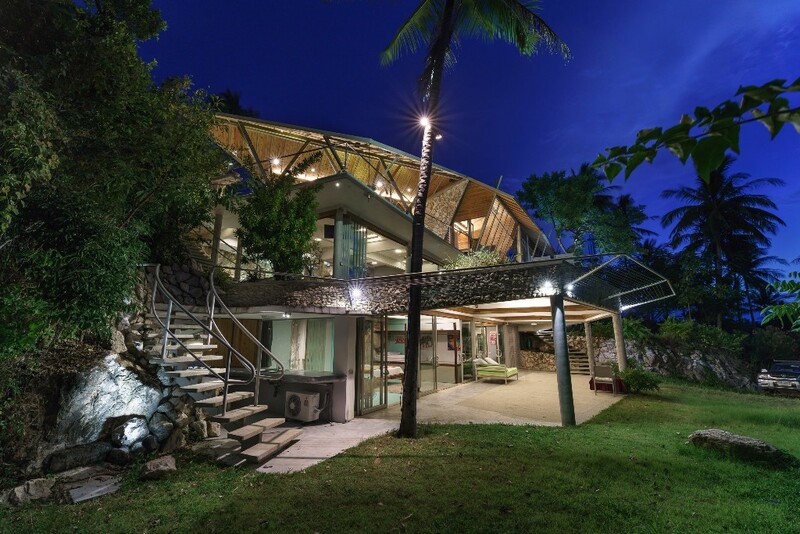 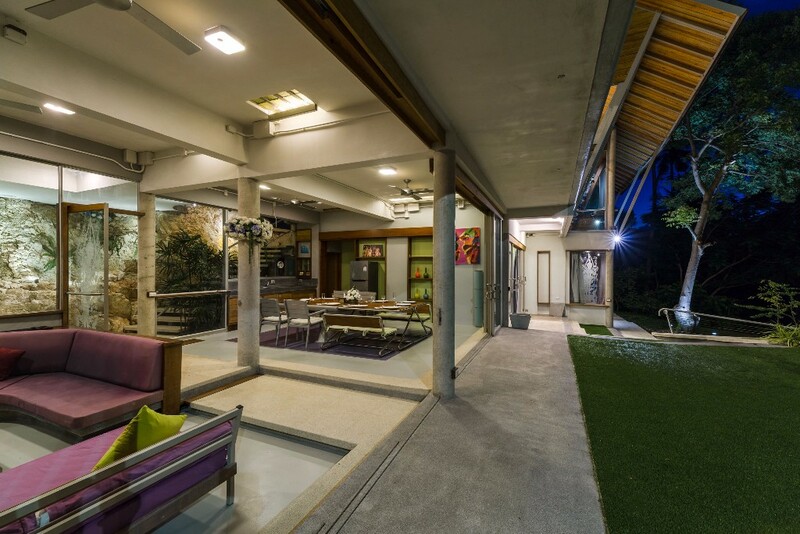 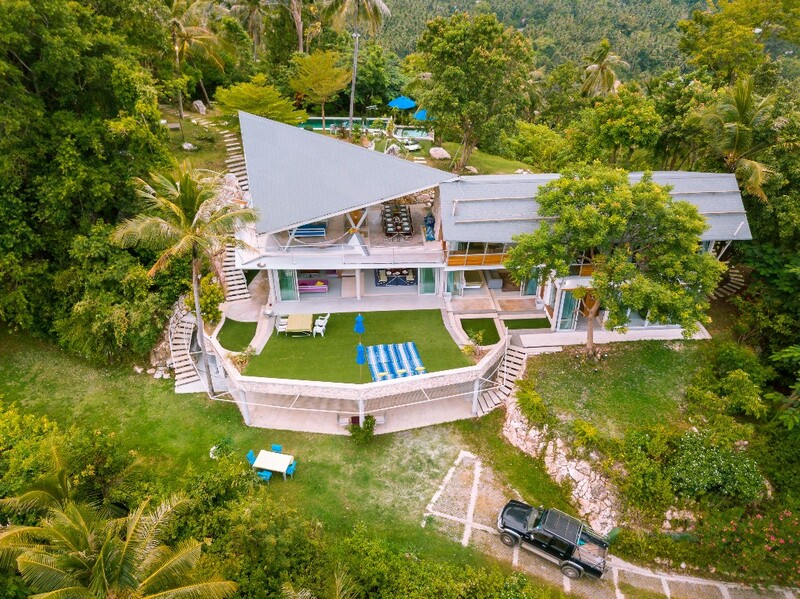 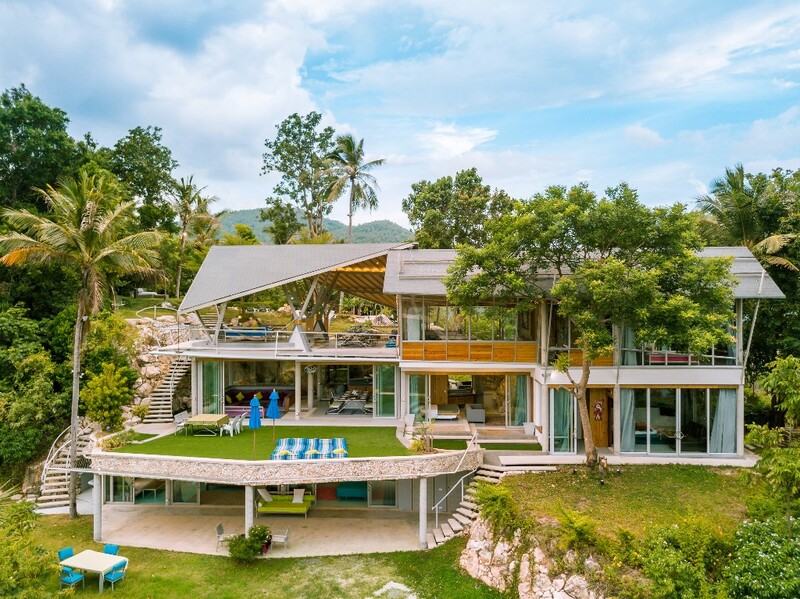 This uniquely stylish house in Koh Samui was developed with luxury tropical living in mind. 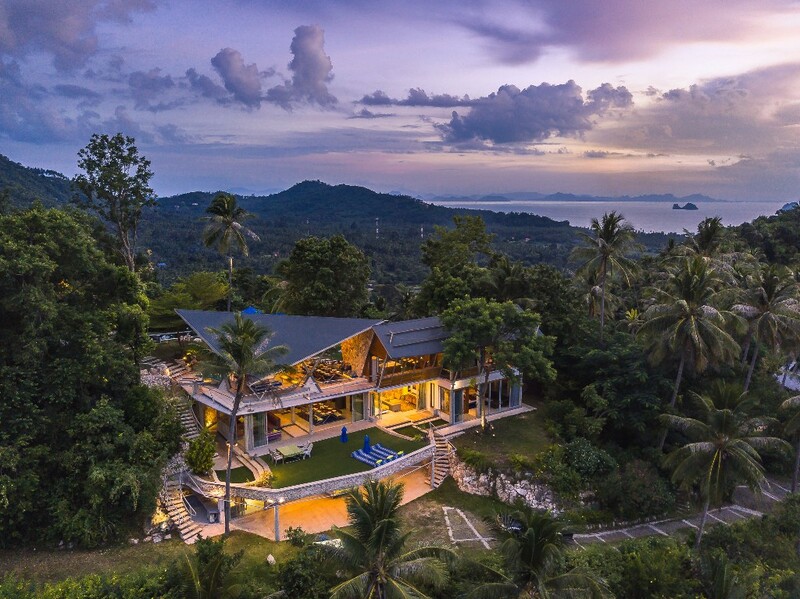 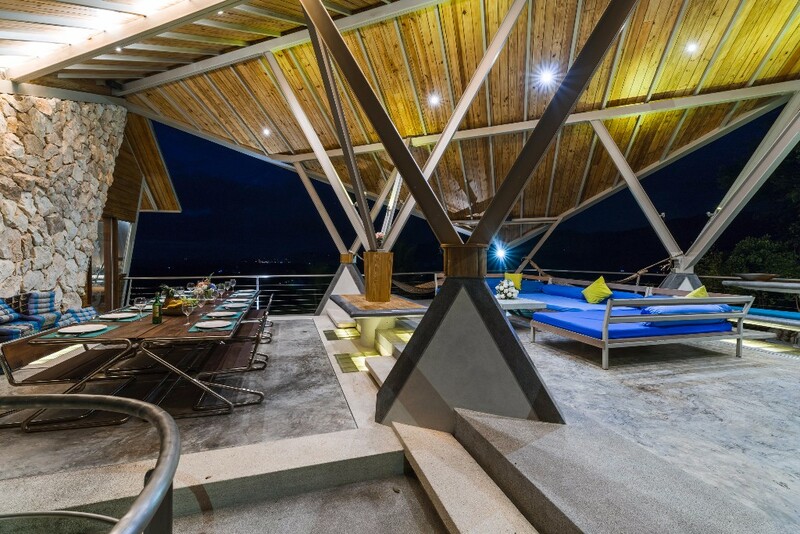 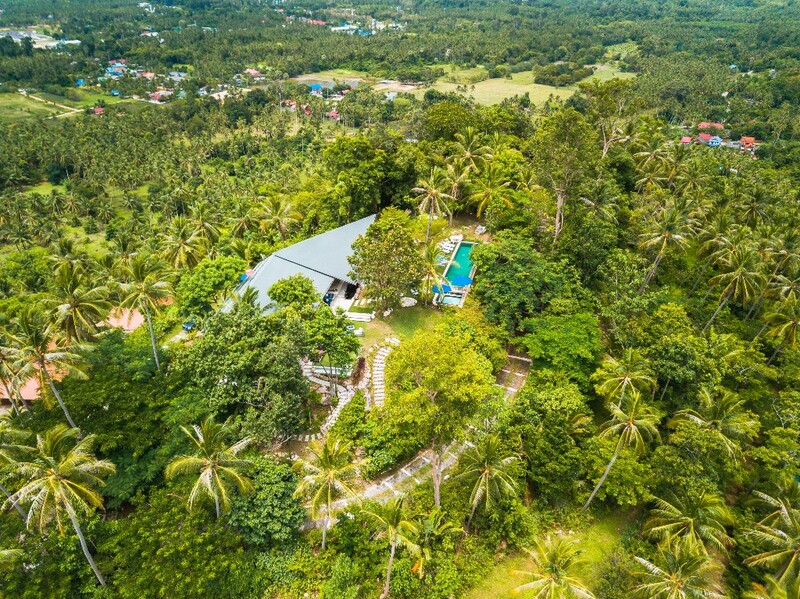 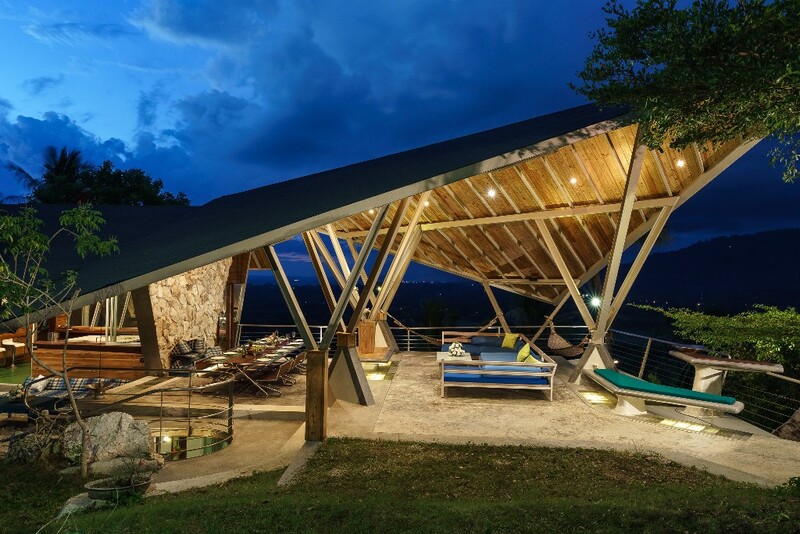 Magnificent 5 bedroom luxury villa is build on the top of a mountain with a breathtaking 360 degree views of the Taling Ngam & Lipa Noi coasts, including 5 island sunsets. 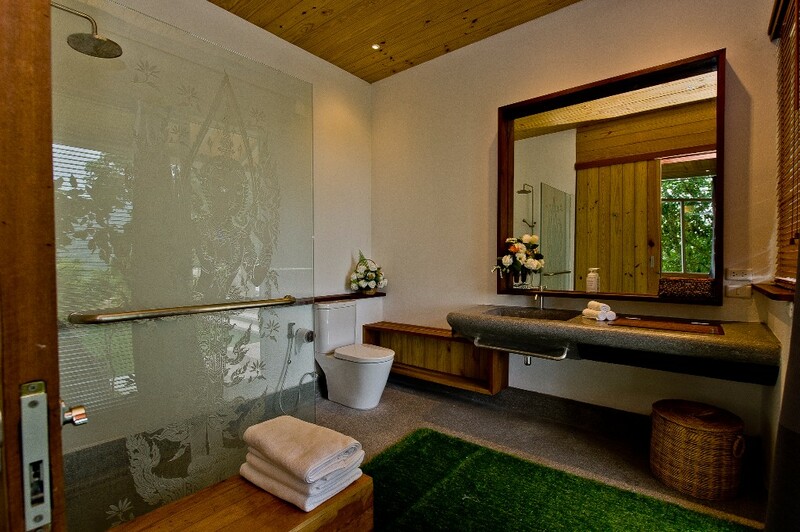 Throughout the house, the walls are being carved from a natural rose quartz stone, which will arouse your senses and induce complete relaxation to refuel your body and soul. 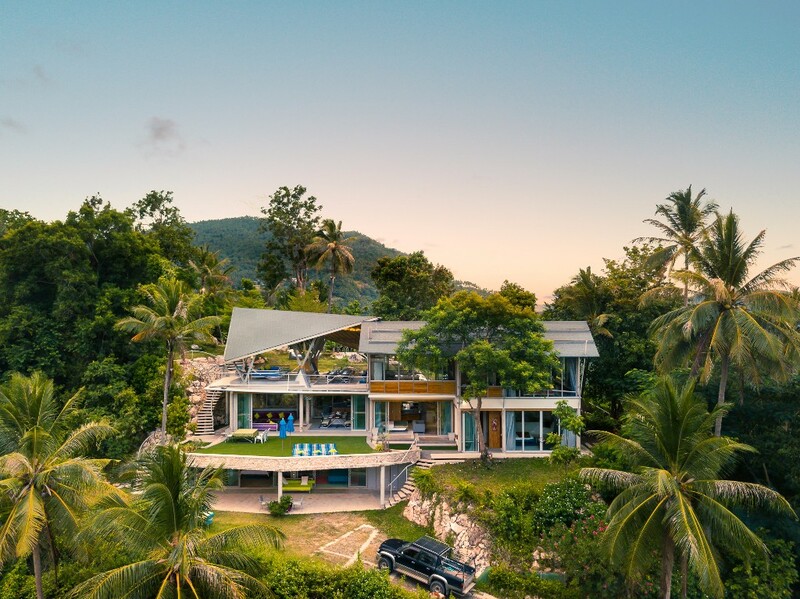 The 5 large ensuite double bedrooms has been designed to be private havens surrounded by lush tropical gardens and large white quartz rock features. 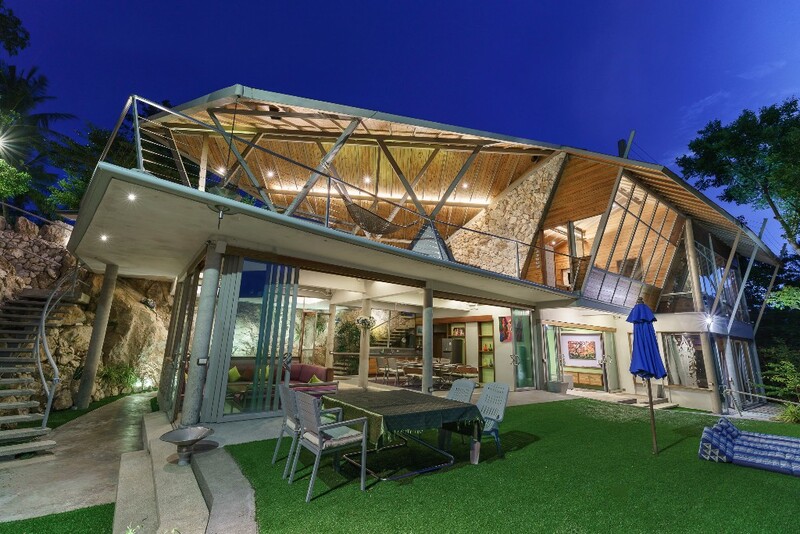 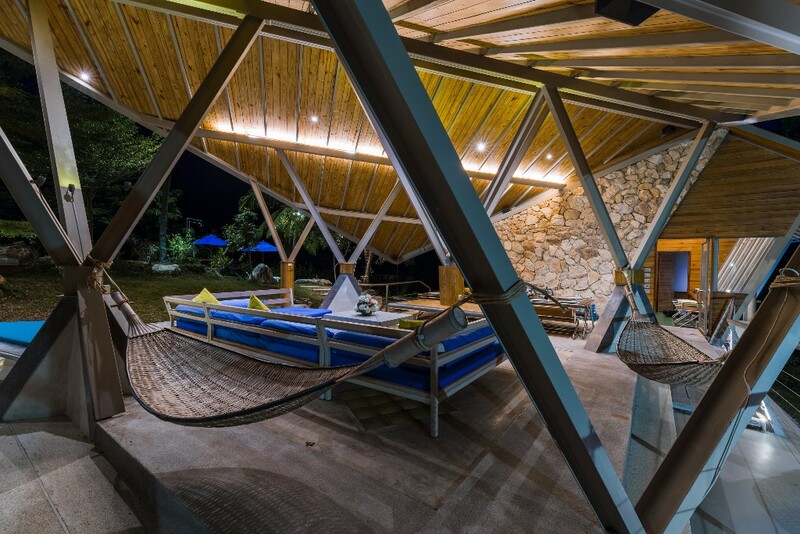 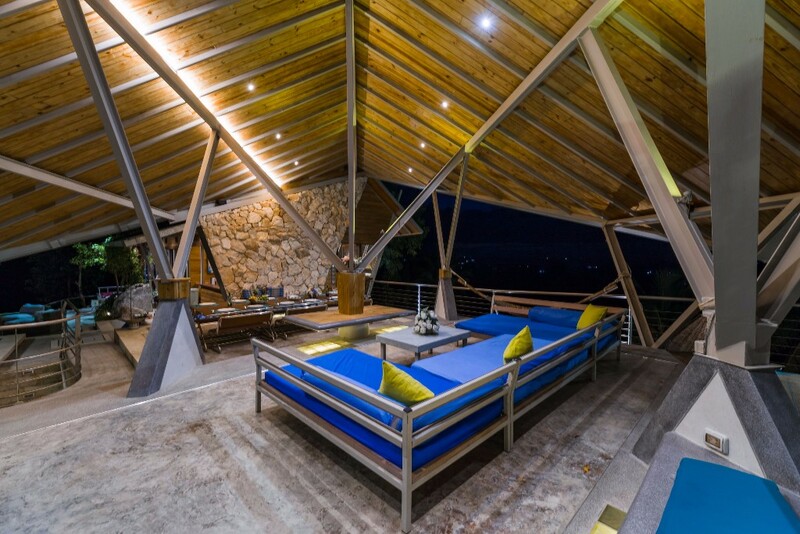 Huge Covered terraces adjoining all rooms allow indoor areas to become seamlessly outdoor. 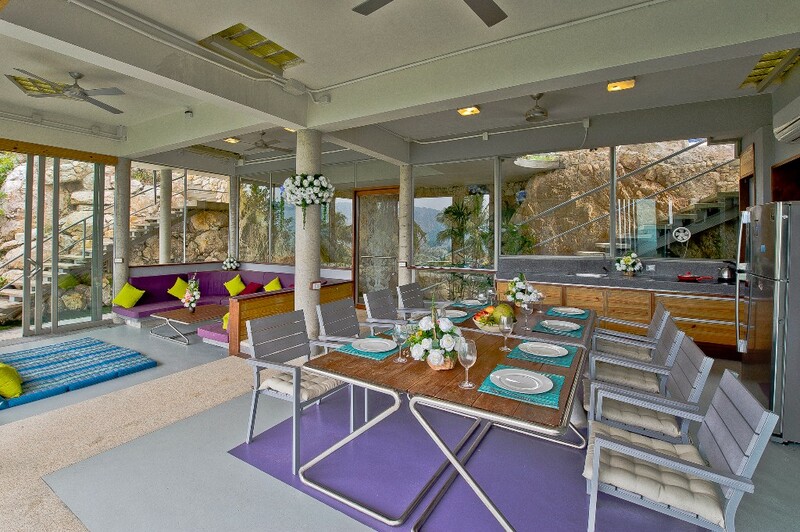 Each floor of the house has a kitchen. 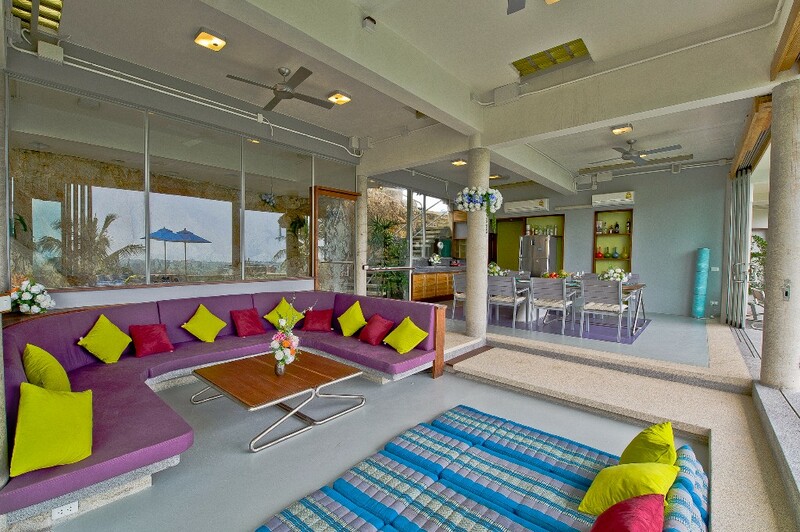 There are also both indoor and covered Dinning and Lounge areas, all with breathtaking sea views. 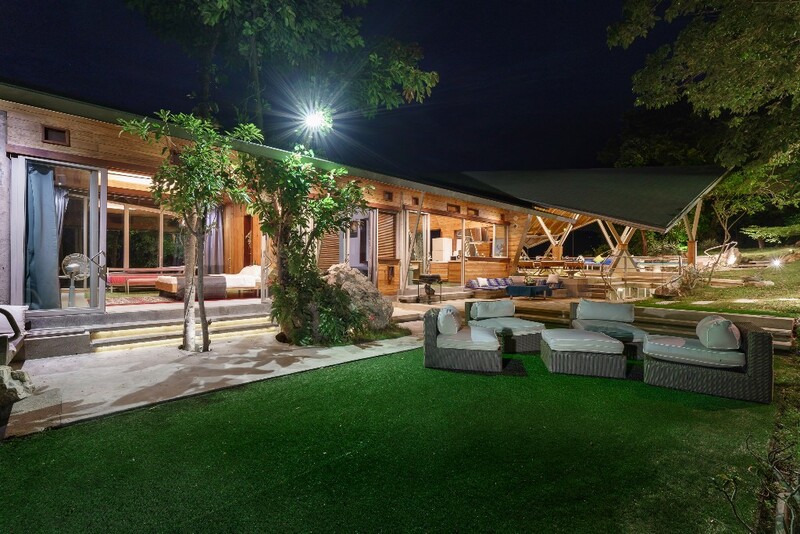 •House within 4000m2 of lush gardens & lawns. 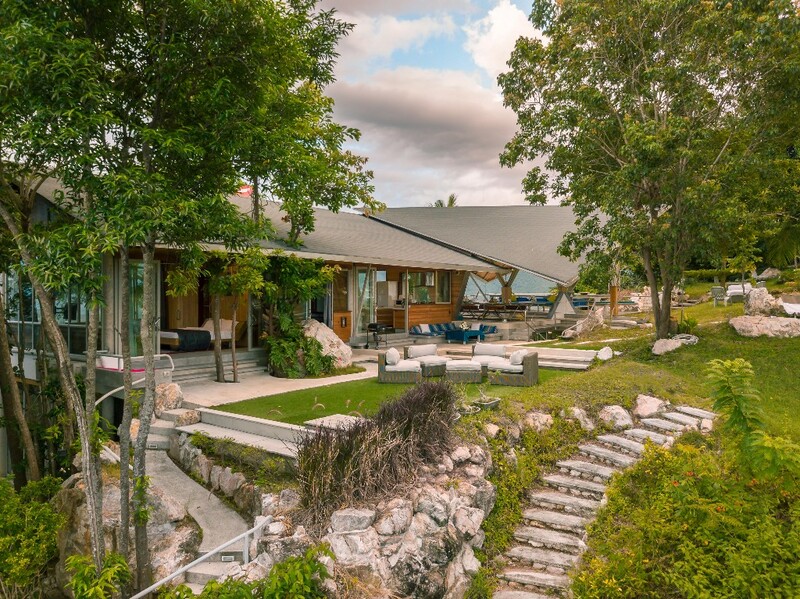 Nestled within a private estate. 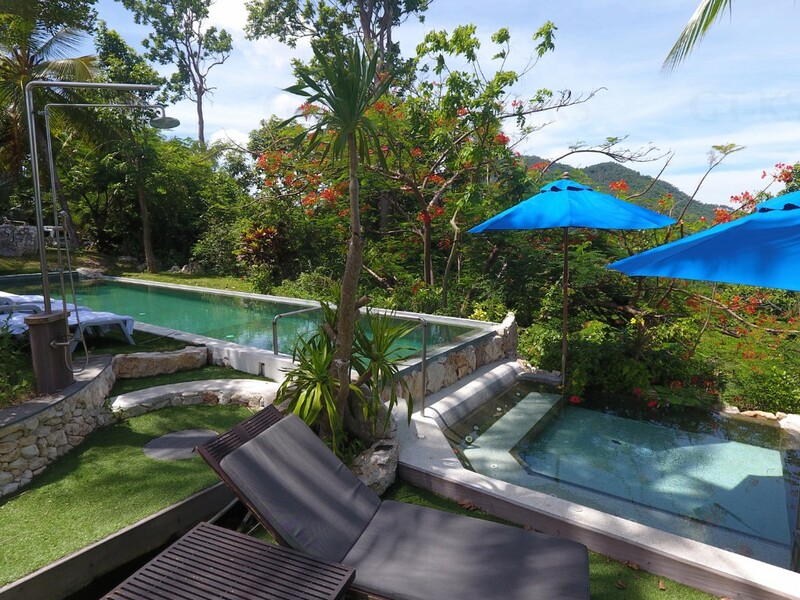 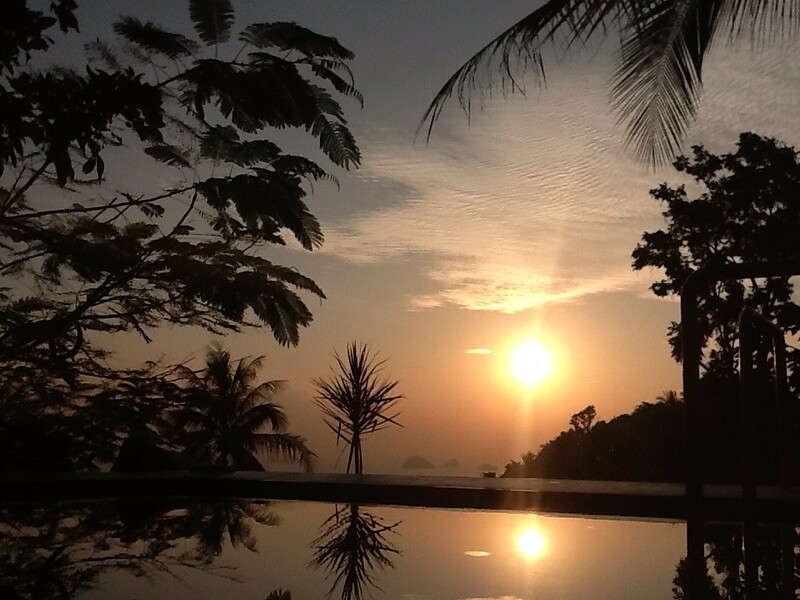 •360 degree infinity edge pool with adjoining kids pool Jacuzzi view sunset area. 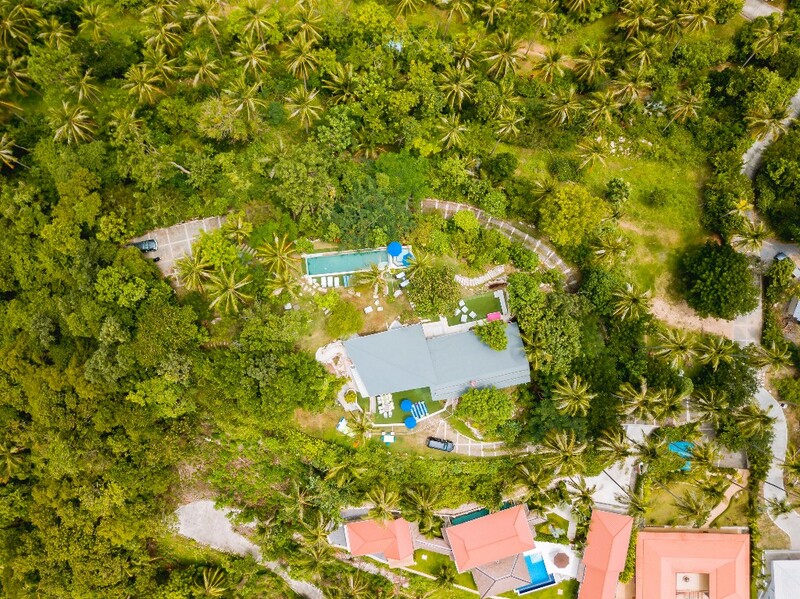 •Total privacy with 2 large gated car parks. 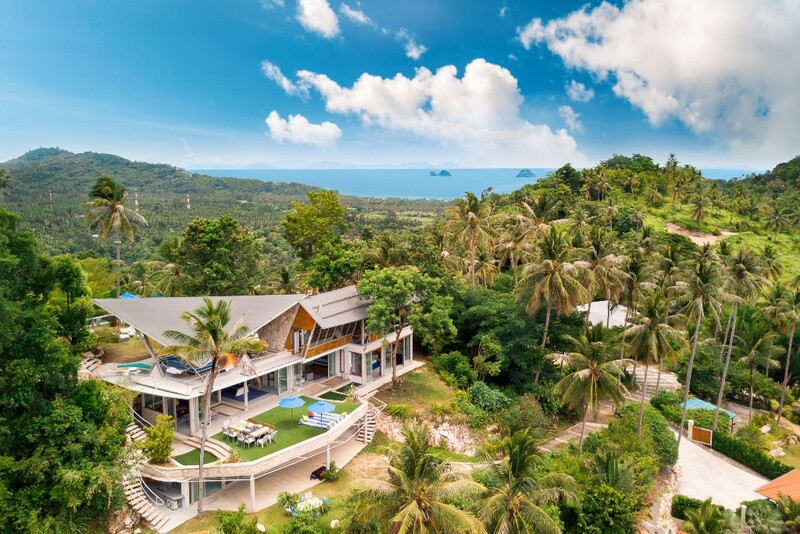 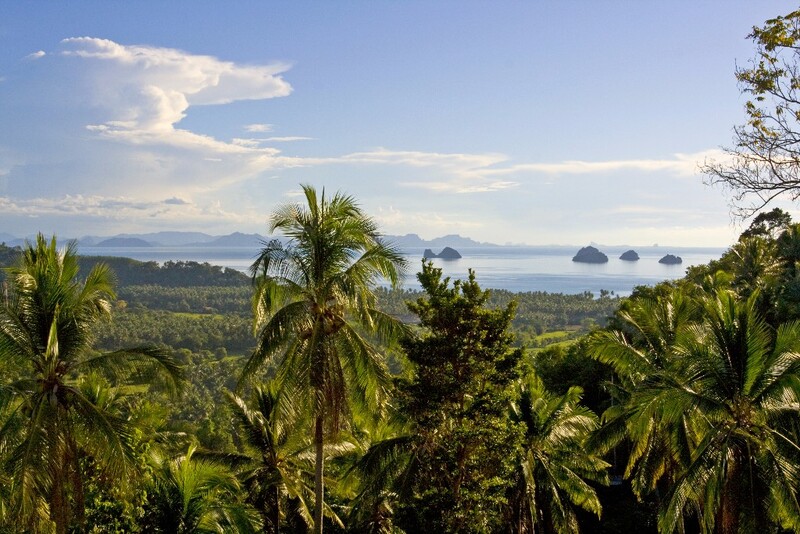 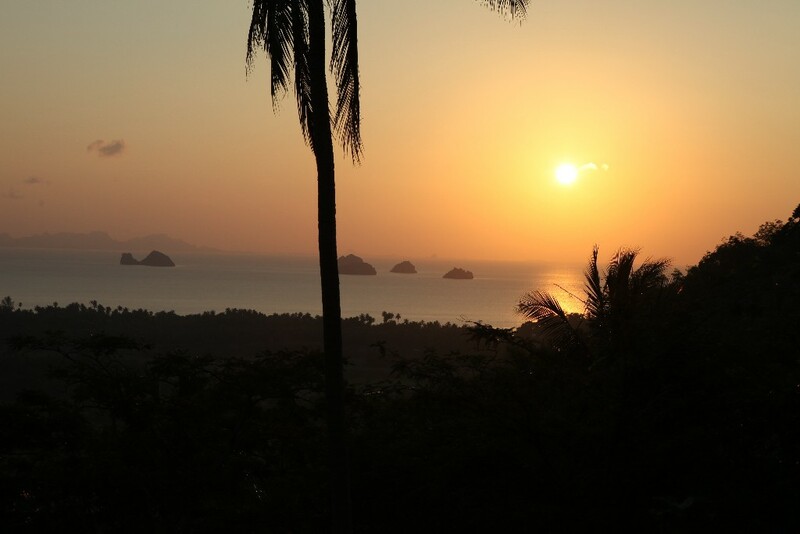 The location in TalingNgam/LipaNoi boasts the most uncrowded paradise beaches on Samui. 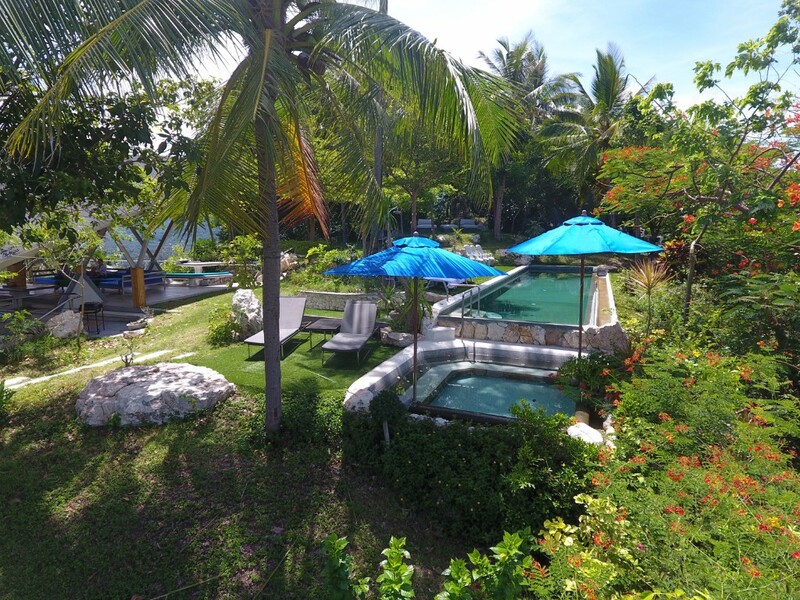 Local facilities include Nikki Beach, Island View Restaurant, InterContinental Hotel are 1-2km away.